I hope you saw our Dakno Mastermind last week! Just in case you missed it, we’re going to tell you about some of the highlights. Email is one of the most powerful tools in your marketing arsenal. If you’re not using it, you’re missing out on valuable leads. In this month’s Dakno Mastermind, Taryn and Kaitlin discuss everything you need to know about how to get started in email marketing. Here are some of the key points that they discussed. So Why Use Email Marketing? The numbers don’t lie! Here are a few of the fun facts and figures Taryn and Kaitlin examine in this month’s Dakno Mastermind video. Email marketing delivers the highest ROI of any other form of digital marketing. Even more than social media and PPC ads. So if you want to see more bang for your buck you should definitely be using email marketing campaigns. It takes at least 7-13 engagements before you’re actually able to get in contact with a lead. Reaching out once or twice doesn’t cut it. Most leads need to be contacted multiple times. Use email marketing to show your value, and stay top of mind. Then when they’re ready to make a move, your name will be the first they think of. Marketers see an average of 20% increase in sales when using personalized web experiences. All leads are not the same. Don’t let your clients feel like this! Using DaknoAdmin tools, like tags, you can make sure that your emails are relevant to your leads. 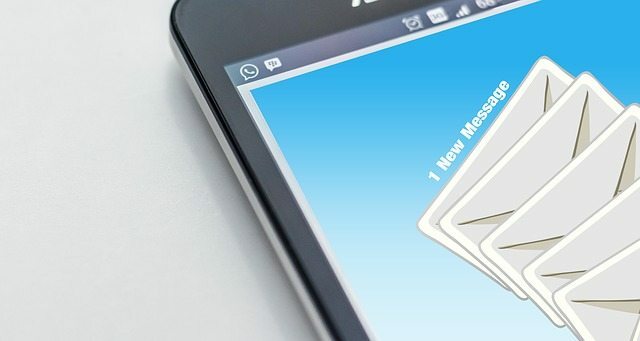 Now that you know why you should be using email marketing, here are a few tips to keep in mind to help make your campaign successful. Using an image might seem like a great idea, but image designs scream email marketing. And, what happens when the receiver has images blocked or is looking at your email on a mobile device that won’t load the image? Suddenly your wonderfully designed, informative graphic is no longer informative at all, and your email is empty. Therefore, it’s best to balance out your text and images. Feel free to include an info graphic, but also include relevant and informative copy. “Hi, My name is [blank] and I’m a real estate agent”— and with the swipe of my thumb, I’ve deleted your email. Chances are I’ve been looking around on different real estate sites and I’ve already received at least five of these generic emails. Make sure you stand out! Go Forth and Reach Out! And as always, don’t hesitate to reach out! If you have any questions about implementing an email marketing campaign, please give us a call (919) 877-8511. As you said, using images to enhance the message is great but key information should be delivered in a text from in case the pictures are blocked and not displayed properly.